I had the day to spend with my youngest today, I had planned to spend the day outdoors playing but she had other ideas. Her big sister had gone to the cinema in the week with her friend to see Minions and as a result my youngest desperately wanted to go. When I asked her therefore this morning what she wanted to do today she replied 'Minions'. I was a little nervous about taking her to the cinema, she takes after me in wanting to always be on the go but as it was her choice and so we went. It has never been just the two of us at the cinema before, normally her sister is with us. 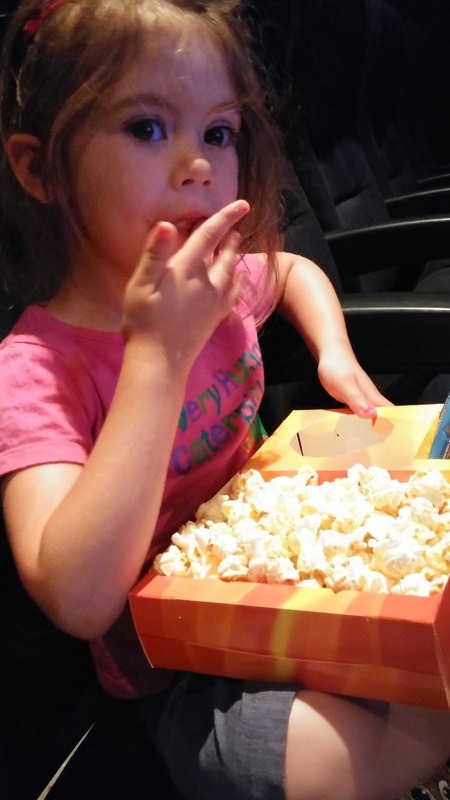 She wanted some pop corn and I thought it would be a good way to keep her busy before the film started. This day I love a day out with minion.